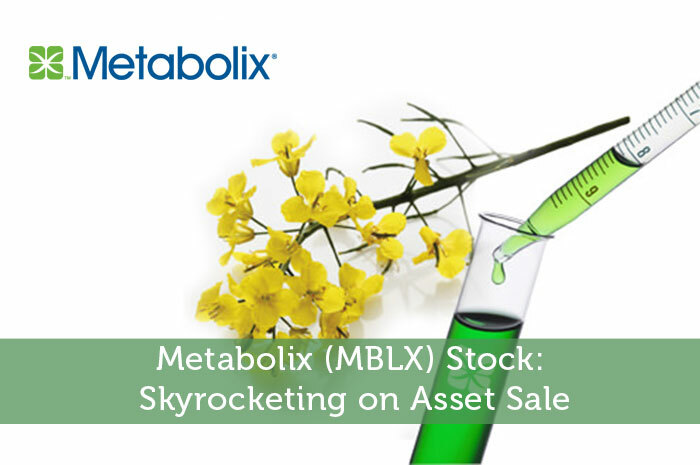 Early this morning, Metabolix announced that it had entered into a binding letter of intent (LOI). The LOI is with CJ Cheiljedang Corporation and it surrounds the sale of intellectual property and certain laboratory equipment. In the announcement, the company announced that it has committed to the sale of its biopolymer IP. The sale of the intellectual property and laboratory equipment will come with a price tag of $10 million. Of the $10 million, $2 million was already paid to MBLX upon the execution of the letter of intent. The other $8 million included in the transaction is payable at closing. It is expected that the transaction will come to a close in mid-September. Under the agreement between the companies, MBLX ill transfer a portfolio of IP including the platform microbial strains that it has used to produce fermentation based products, as well as patent rights covering the production and use of PHA biopolymers. Also, the sale of the assets is expected to include a sublease to CJ of a portion of the company’s Woburn, Mass., facility. In a statement, Joseph Shaulson, President and CEO at Metabolix had the following to offer…. As investors, one of the first things that we learn is that it’s important to watch the news. After all, any news surrounding a publicly traded company will likely lead to movement. Obviously, positive news will lead to positive moves while negative news leads to negative moves. The news today was overwhelmingly positive. Not only will the new deal drive $10 million in revenue, it will also help the company create a fine tuned focus around a key product. As a result, we’re seeing strong gains in the value of the stock today. Currently (3:12), MBLX is trading at $0.46 per share after a gain of $0.07 per share or 18.94% thus far today. Moving forward, I have an incredibly bullish opinion of what we can expect to see from MBLX. The company has recently been selling assets and restructuring in order to make the Yield 10 Bioscience its core business. This is the last phase of this restructuring which will allow crystal clear focus on this promising asset. All in all, I’m expecting to see gains ahead. Where do you think MBLX is headed moving forward? Join the discussion in the comments below!